'If that pole weren't so distracting, maybe I wouldn't be hitting bicycles' -- can that possibly be the lesson here? A bicyclist was struck along S.E. 52nd Avenue at Martins Street, at 2:26 p.m. on Friday afternoon, July 7. 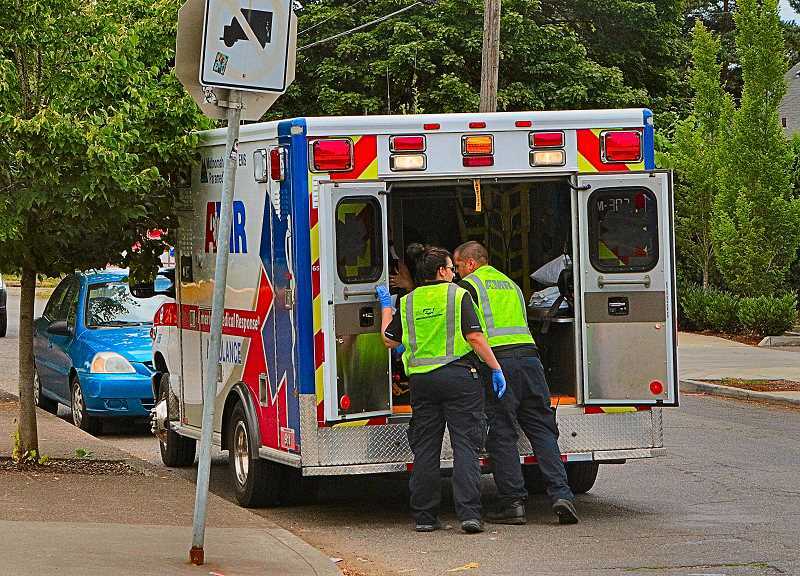 Portland East Precinct officers and Portland Fire & Rescue paramedics from Woodstock Fire Station 25 responded to the scene, and found a woman down in the street. According to witnesses, the woman had been crossing the street on her bike, when a Land Rover Discovery SUV pulling out of the Goodwill Store parking lot bumped into the biker. Witnesses reported that the driver of the Land Rover commented aloud that, "she had hit a pole in the parking lot; that she always ends up hitting the same pole when she goes there". It was unclear how this unusual pole problem in the parking lot had led to her then bumping a bicyclist in the street. Although the bicyclist was taken to a local hospital by ambulance, witnesses told THE BEE that it had been a relatively low-speed collision, and pointed out that the bicycle in the street didn't look badly damaged. The rider has not been publicly identified, and her condition has not been revealed, per federal privacy laws. Officers at the scene, who were still investigating the matter, said it was unclear if the SUV's driver would be cited in the crash.